Hey everyone im new to HMT and so glad i found this site. Very informative. 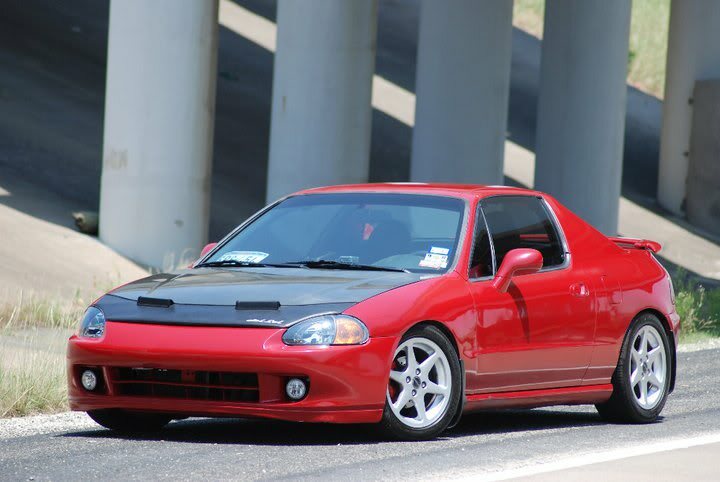 I have a 1997 Honda Del Sol with the stock d16y8 have done quite a bit to it. but here is a picture and let me know what you think. I do plan on putting a turbo in hopefully by this summer. Im gonna build another d16y8 before i go turbo. And that way i have an extra motor sitting around in case anything happens. Quick Reply: 97reddelsol new to HMT!! !